With a season about to change, and a major project about to end, I’m getting nostalgic about the days that have just passed. This past summer, I had some great outings with friends and family on outdoor terraces. Interesting conversations, lots of laughs, ice-cold drinks and yummy food! 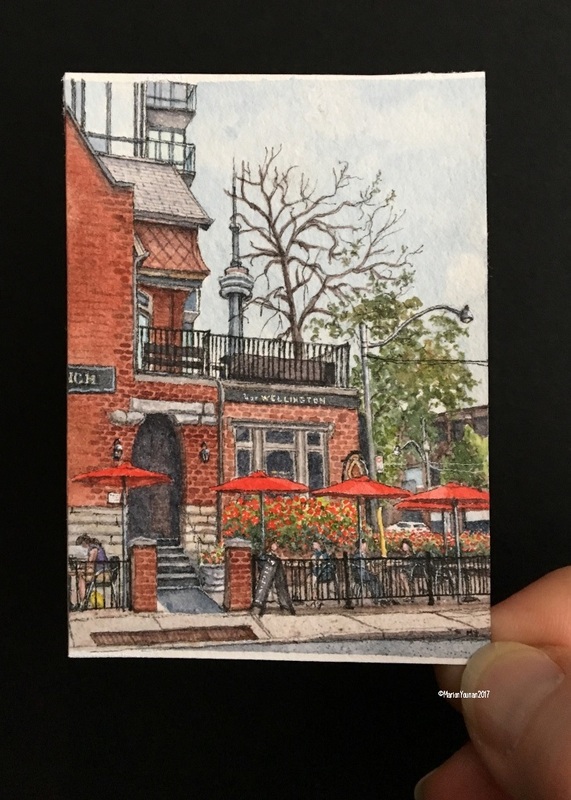 “Mini Vacations” painting #99 celebrates one of these favourite summer activities – Sunday Brunch on a patio in the city. I took in a few this summer, and hopefully the autumn will be warm enough to have a few more! Inspired by a recent photo, this place on Wellington Street has a tremendous patio – beautifully decorated with flowers and iron fencing. 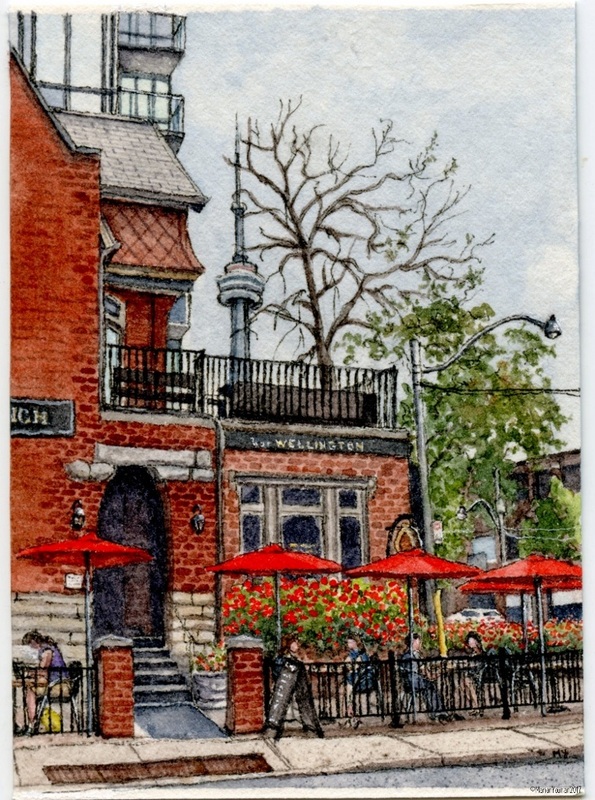 And with the CN Tower and an old tree looming behind, it recalls happy times in Toronto!